The word 'superfood ' seems a bit overused these days but I really think that avocados are worthy of that title. They're so tasty and versatile and you just know all that vitamin and mineral-rich oiliness is doing your body a world of good. I usually just eat them as they are with lime and salt or make them into guacamole and have it with fish but I am only beginning to discover the starring role that they can also play in sweet treats. Avocados can also be a great source of frustration. It seems that one minute they are as hard as a bullet and hours later bruised black and inedible. 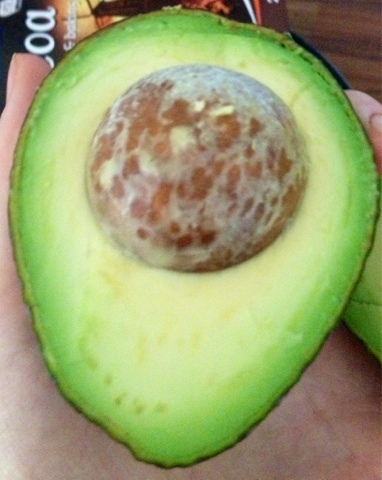 But when you get lucky and cut into a perfectly ripe one like this it really is a beautiful thing. I think that chart below sums up the problem pretty well. I used to crave and eat something processed,fatty and sugary pretty much every day before I decided to overhaul my diet. Most of it was unsatisfying, leading me to crave more rubbish and overeat. So I haven't been eating many sweets in recent months. And I really haven't missed them much at all. 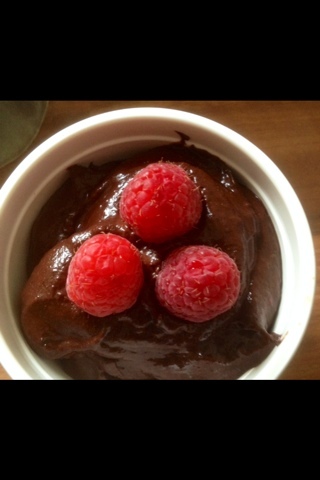 But on one particularly grey evening recently, I realised that only something creamy and sweet and chocolatey would do so I decided to have a play with my blender and to make an avocado based chocolate pudding . But when these are right this really is surprisingly indulgent, creamy and chocolatey whilst also being incredibly nutritious. It also has plenty of scope for adaptation - I think that peanut butter would be great, and I also fancy trying out a coffee version. 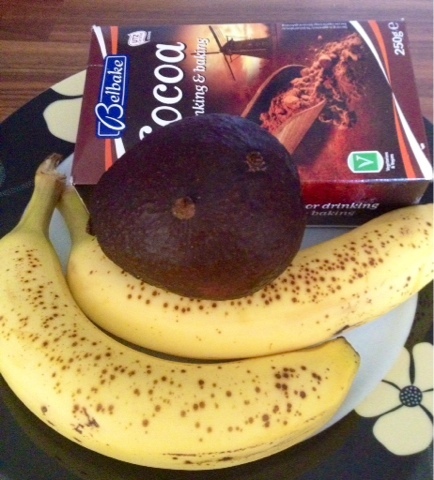 Add avocado and bananas to blender and blend until smooth. Add the cocoa powder, cinnamon and salt gradually, tasting as you go. You may find it needs a little honey or maple syrup but so far I have been lucky with the sweetness of my bananas. Eat immediately or, if you can wait, chill in the fridge for a couple of hours and it will be even nicer. Serve with some roasted hazelnuts and raspberries for a really yummy guilt-free treat.